Paul Jenkins is a RoSPA Diploma holder in Advanced Motorcycle Instruction and is an ADI Road safety Authority Approved Instructor in category’s A and B.
Jenkins School of Motoring can take you through advanced stages of motorcycle Control. Advanced lessons are for people who want to improve on their basic skills and riding ability. After you pass your Motorcycle test the next stage is Advanced Motorcycle Control and Planning Systems. The advanced course is Four hours long. Starting with an assessment of your knowledge about your motorcycle controls and Rules of Road. Then we will take you on a route to see your planning system. Which will take into account Motorway Rural and local Roads. This will last 90 minutes depending on local traffic. I will be looking for good anticipation and prioritizing of hazards. Once we know what level you are at then we can start to teach you Road Craft just like the English Police Force. This will help you to gather good Information with Observation Anticipation Priorities Decide what to do then Act routine. We will then start to bring your Observation up so you can Plan what action you need to take with hazards. We will start to use Observation Position Speed Gear and Accelerate routine. The idea of advanced lessons is to try to bring down the high level of accidents on our roads. With good Observation and Anticipation of hazards. The idea is to put you in the correct position at the correct speed with the correct gear engaged at the correct time. 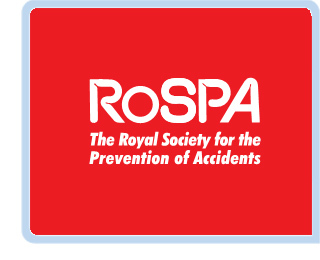 We can then apply to RoSPA for you to take the assessment to get Gold Silver or Bronze which can help you bring down your insurance.